MICE Service for Mice…We can help! Talk to the Local Experts! 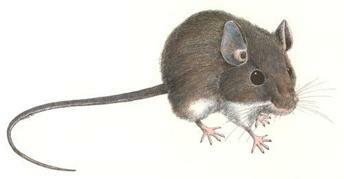 The House Mouse is remarkably well-adapted for living year-round in homes, food establishments and other structures. Homeowners and cottagers are especially likely to notice mice during winter, following their fall migration indoors in search of warmth, food and shelter. Once mice become established inside a home, they can be extremely difficult to control. The Deer Mouse is also commonly found in this area. A Deer Mouse can be identified by its white underbelly. Mice are more common and cause significantly more damage than rats. Mice are prolific breeders, producing six to ten litters continuously throughout the year. Litter size: five to ten babies. Rebreeding time: Immediately. A female mouse can produce around forty babies per year. The greatest economic loss from the mouse is not due to how much they eat, but what must be thrown out because of damage or contamination. Food, clothing, furniture, books and many other household items are contaminated by their droppings and urine, or damaged by their gnawing. Mice are nocturnal creatures and are rarely seen by the homeowner. The most obvious indicators of their presence are droppings (1/8 to 1.2 inches long, dark and pointed at both ends), sounds of them running, gnawing or squeaking, or damage to stored food or materials for nesting. Highly curious, mice explore their territory daily, paying special attention to new items or physical changes in their home range. Unlike rats, mice show no aversion to new objects. House mice gnaw through electrical wiring causing fires and failure of freezers, clothes dryers and other appliances. The mouse can also transmit diseases, most notably salmonellosis (bacterial food poisoning) when food is contaminated with infected rodent feces. Other diseases include rickettsialpox, lymphocytic choriomenigitis, leptospirisis, ratbite fever, tularemia, Lyme disease and dermatitis caused by the bites of mites from the mice. Hantavirus (pulmonary syndrome) is another danger becoming more common. Rodents must have adequate food and shelter in order to live and thrive. Removal of these 2 factors is the best way to prevent and control rodent problems. It is important to include both the outside and inside of your home in your sanitation efforts.